The first seed of Coolabah Tree Café was sown in 2001 and since then we have expanded to 19 locations. Join our award-winning franchise model and enjoy being your own boss while having the backing of our proven retail approach and management system. Training is the key to unlocking your success. Our experienced Area Managers will teach you everything you need to know to run your own store. Suppliers like Coca-Cola and Di Bella Coffee, paired with our food preparation processes, have made Coolabah the go-to stop for travellers looking for wholesome, home-style food on the road. There are many advantages to taking over an existing store. Established stores have the benefit of already been trading and maintaining a loyal customer base in a proven site. 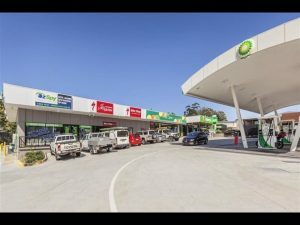 We have secured a prime location within this existing BP service station along Australia’s busiest highway. We will be front and center as the customer enters the C-store and located beside Origin Kebabs. Landlord incentives available and a great deal from the Franchisor. CTC caters ideally for the lucrative traveler and commuter market and will prove to be a draw card to the center for this market. Located on the busy Warrego Highway in the Citiswitch Business Park, this truck stop & travel centre is a flagship location for Puma. We have secured a prime food court position alongside complimentary foodies, Zambrero, Brahams Pies, Oporto and Origin Kebab. Located on the corner of Capricorn Highway and Columba Street, this full format Coolabah Tree cafe is THE ONLY cafe in town and would suit a motivated husband and wife team. We reduced open hours so the opportunity for a lifestyle change is prime & a reduced rental has recently been negotiated. Can’t find a store in your desired location? Contact us, and we’ll help secure the site you’re dreaming of! Do you operate your Carvery based business on your own and are always run off your feet without any ongoing operational support? We are often approached and offered similar businesses for conversion to Coolabah Tree Café. We are always open to considering high traffic, high visibility sites for conversion.